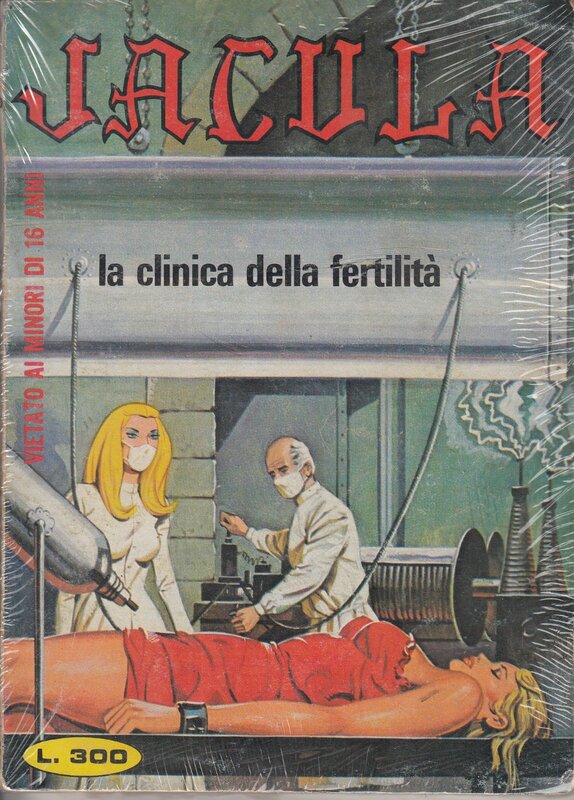 Look, Dr. Nutbar, you are free to call your underground lair “la clinica della fertilità” until hell freezes over, but I know mad science when I see it. And when you spin up those flywheels and put 15,000 volts through this poor woman’s ovaries, I don’t think “fertility” is what you’re going to get. Obviously you don’t either, or else, why the shackles? From the cover of a Jacula pulp. « To The Victor, The Spoils!